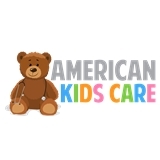 AMERICAN KIDS CARE, PC (Annandale) - Book Appointment Online! The one thing every parent wants for their child is a long, healthy life. A life of good health starts with finding a great Pediatrician; one you can depend on to keep your child’s health and well being as a top priority. Children are our future, and we owe it to them to give them the best care possible. Whether it’s a simple case of sniffles, or a long term complicated medical treatment, American Kids Care will be there for you and your child. Caring for children is our passion and we have the expert skills and experience to ensure you only get the best. Our doctors are always ready and willing to do whatever they can for your child’s health. At American Kids Care we accept most insurances, opening our doors to all patients. We also have a discounted program for patients with no insurance. We have a convenient location for easy access to all patients and families, whether you’re stopping by for a Well Child appointment or have a sick child that needs immediate attention. Our office staff is bilingual, able to communicate with families whose primary language is not English. You will find our staff very friendly, matching our kid friendly office and atmosphere. The health and care of your child is the most important thing to us, and we make sure the quality of our care matches your expectations. American Kids Care offers immunizations, school and sports physicals for children. Whether you have a beautiful newborn, an active child or an adolescent, we have the experience and skills to care for them. Caring for a child is an important responsibility and a relationship. We are happy to schedule a complimentary appointment for parents to meet their child’s pediatrician. Knowing the person who cares for your child is every bit as important as getting them the proper care. We even offer after hour’access to your doctor ensuring continuity of care.